Should you automate your business processes? Research shows that human beings are very often resistant to change and perceive change as a threat rather than the opportunity it represents. This makes it hard to leave behind the manual business processes that become reassuringly familiar over so many years. The keyword is it is only a perception and not reality. However, with modern software solutions & the software development knowledge available today, it is more convenient than ever to automate business processes. Gone are the days of using paper and Excel spreadsheets to draw up month-end reports, which are time-consuming and can be fraught with errors. The time for an automated workflow has arrived. Emails, sticky notes, and general comments are impossible to organize around a single repeated process on a daily basis. An automated workflow means a simple, streamlined communication process with one dashboard to see all of your interactions and reminders. Each unique workflow has its own line of communication to account for any irregularities and discussion in the business process. The work just flows – no complications. When you automate a workflow, an owner is assigned for each step of the process. Initial capturing, approvals, rejections, and further input are all bound to an individual who performed the action. By enabling that level of information transparency in your business process, accountability is enforced on yourself and your colleagues. A great workflow management system will also give you insight into productivity and if anyone may need additional workload assistance. An automated workflow aids in bypassing expensive costs associated with human errors and workflow inefficiencies when a person is expected to own a business process. Examples are late payments, slow sales approvals, and payments for goods never received which all become very expensive errors. With an automated business process you can track the current state of any item and make sure careless mistakes don’t take place. Imagine you have automated your business processes, streamlined your employee base to use this new system, and things have been flowing smoothly for the last 2 months. Now think of what you could do with all the data that has been accumulating? You could know how many requests came in, how many were approved, how many rejected, how long each one took, and which step in the process takes the longest. Since the mode of communication is streamlined and accumulation of data is centralized in anautomated workflow tool, you get insights that tell you if your current business process is bottling up at some point – if it’s actually making life easy for your employees or if it’s making things more complicated. This is probably the best input you can have for all your business process management needs. 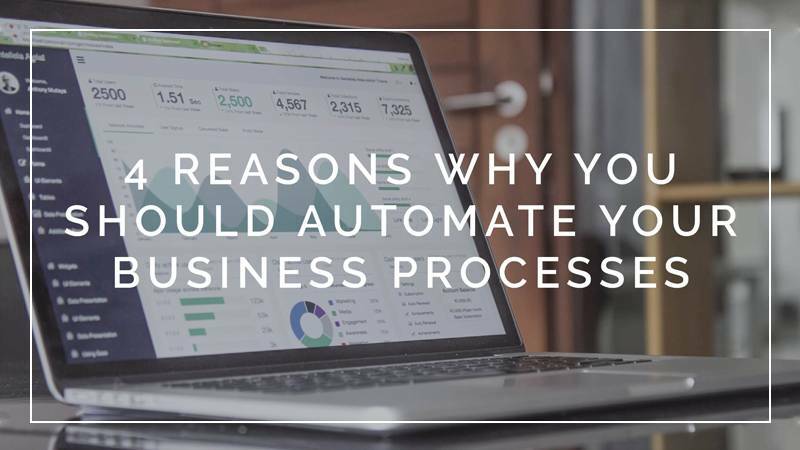 An automated business process workflow is exactly the thing you have imagined is the missing link to take your business to a whole new level. Get started with your own and see what you’ve been missing. The advantages of automation through software solutions include even more than what has been mentioned here and research shows that a business that migrates from manual processes to an electronic platform, increase productivity and business continuity becomes second nature. After all, isn’t that what we all want?